Find solutions for Temporary Fence, Barricades, Portable Toilets, Restroom Trailers, Portable Storage Containers and Temporary Power. 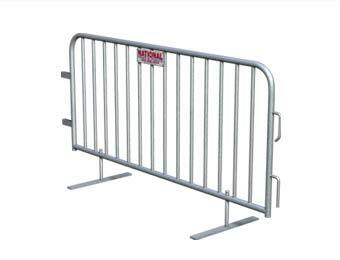 Durable and affordable fencing to keep your project site secure. 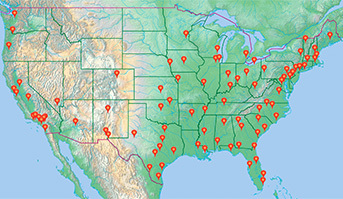 National offers temporary chain link rent a fence to more than 80 metropolitan areas coast to coast. In-ground chain link fencing can be installed in sand, soil, pavement and more. Call today for a free quote. Portable and secure, a great choice for controlling on-site traffic. 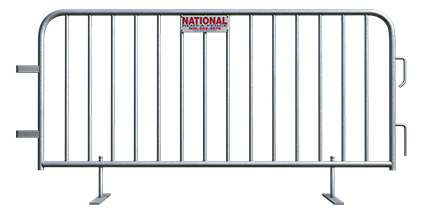 Easy to transport and install, barricades are a great solution for regulating the flow of pedestrian and vehicular traffic, ticket lines, limiting access to VIP areas, and perfect for protecting expensive equipment. Wide selection of clean, spacious, portable toilets that fit any occasion. 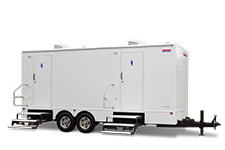 National’s portable toilets and restroom trailers are some of the newest and cleanest on the market with a wide range of options including hands-free flushing toilets and fresh-water faucets. 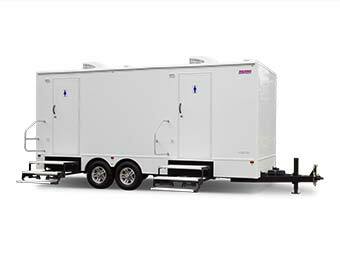 Upscale, roomy and climate-controlled portable restrooms with elegant features. Take your project to the next level with our high-end solar restrooms, comfort stations and luxurious restroom trailers. Accessories include mirrors, hot and cold water sinks, lighting and air conditioning. Large, heavy duty storage units designed to protect your valuables. 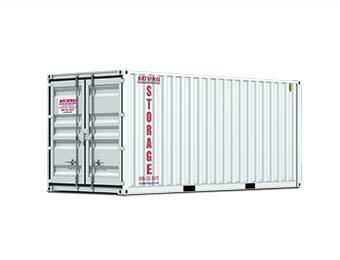 Mobile storage containers are a great way to protect your materials, tools and equipment from theft and the elements. Constructed of 14-guage heavy-duty steel, each provides security and peace of mind. Safe, reliable temporary power source available exclusively in CA and NV. National’s temporary power solutions include above and below ground installations, single and three phase systems, black diamond poles, electrical cabinets, expert planning and help with permits.